Auto Brake and Clutch can manufacture brake and clutch hoses in either rubber or stainless steel braided hose. 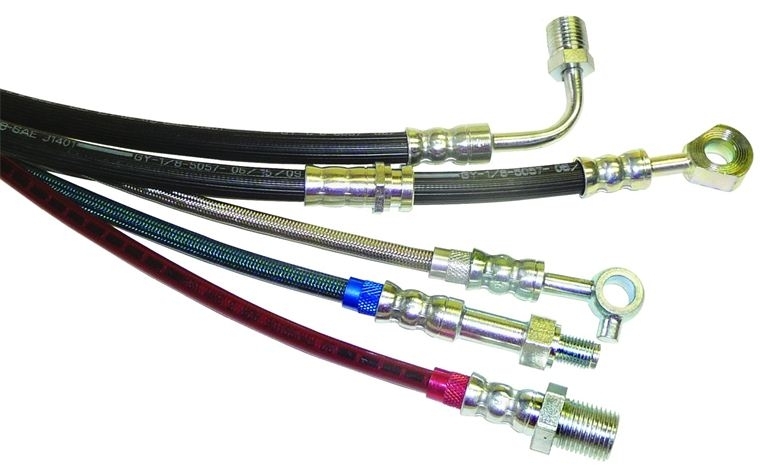 All brake hoses manufactured comply with international safety standards and are warrant of fitness compliant. After the hose is fabricated and the ends are crimped into place, every hose gets subjected to a pressure test of over 3000 PSI, to ensure each hose is of the utmost quality. So whether you require a replacement hose for your everyday vehicle or a braided hose for your sports car or motorbike we will have you covered.